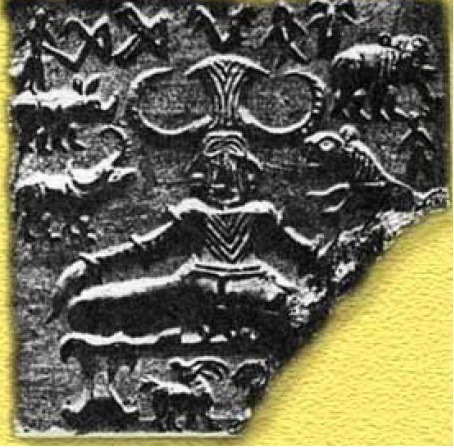 In ancient India, the civilization of Harrapa (2700 years B.C. ), a bucket has been found showing a character with three heads, with a hard-on, surrounded with animals, in zazen posture. 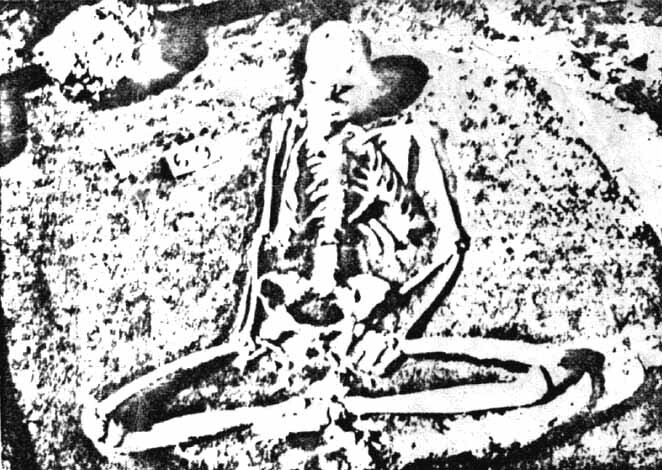 At the museum of Fine Arts of Belgrade, the skeleton of a man in zazen posture is exposed, discovered in the excavations of Lepenski Vir, in Yugoslavia, date: 6000 years B.C. In Greece, in the art of the Cyclades (4000 years B.C. ), there is a woman cross-legged in zazen. Moreover, the small statues, which were placed in the tombs, also recall the zazen posture in a very refined style characteristic of the art of the Cyclades. 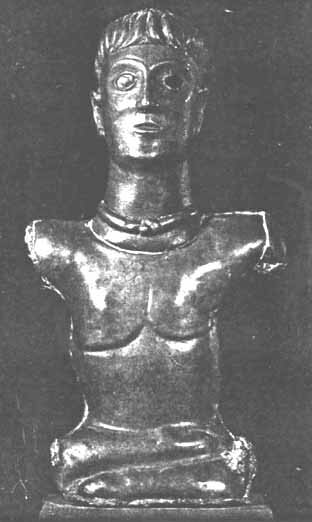 A small ceramic character of Cato, in the East of Crete, shows also a zazen posture, it is dated front the Neolithic (4000 years B.C.). Numerous elegant small statues found in South Turkmenistan and dated from the 3rd millennium B.C., show also a zazen posture, in the museum of the Hermitage, in Leningrad. There are also small alabaster statues of the same inspiration, discovered in the North of the Caucasian mountain dated from the 2nd millennium B.C. Buddha reached the awakening 2600 years ago, in zazen posture, below a fig tree. Well before his time, tradition recalls that Siva, the god of the yoga and dance, was sitting in the same posture below a fig tree. Bodhidarma, founder of zen, introduced the posture in China in the 6th century A.C. Dogen did it in Japan in the 13th century. Deshimaru made it known in Europe in the 20th century. In order to notice the existence of this posture in other civilizations, in time and space, it is necessary to know it by having practiced it under the directives of Master Deshimaru. No doubt that the practitioners of zazen, present or futures, will be able to complete and enrich the information, which we presented here. NB: The documents cited for France are coming from the catalog of E. Esperandieu (Bibliotheque Nationale). For Greece, museum Goulandris (Athens). For Russia, museum of Ermitage (Leningrad).